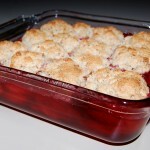 Sweet juicy plums covered with a biscuit topping and whip cream. Filling: Combine syrup, sugar, cornstarch, and cinnamon, blend well. Add plums and toss to coat. Spoon into a buttered 8x8x2-inch baking dish. Bake at 400 degrees for 15 minutes. Topping: Meanwhile combine all batter ingredients, beat with a wooden spoon just until combined, about 20 strokes. 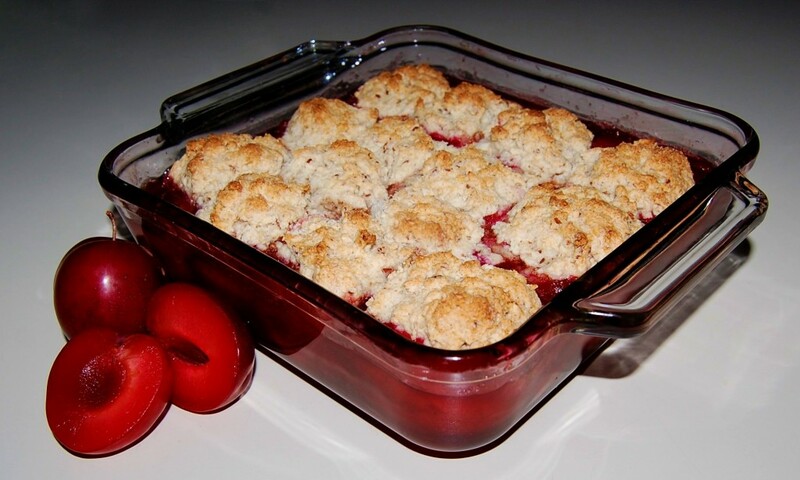 Drop batter by spoonfuls onto the hot plums. Bake 15 to 20 minutes longer. Serve with sweetened whipped cream or ice cream.